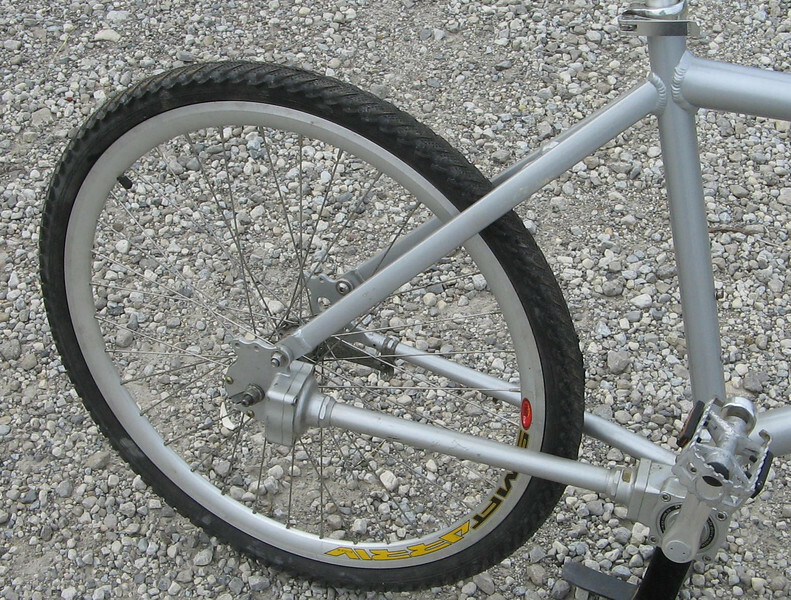 1 of 2 shaft-drive coaster brake bikes (other is black). Prototypes, hand made in Taiwan. Minimum bid $100: parts are worth $150. 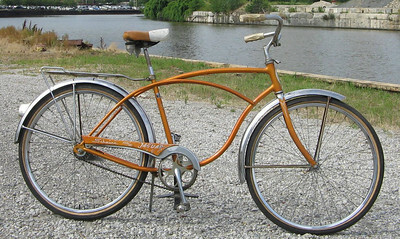 Includes all benefits of any Ohio City Bicycle Co-op bike-purchase ($60 value). Drivetrain of shaft drive bike. 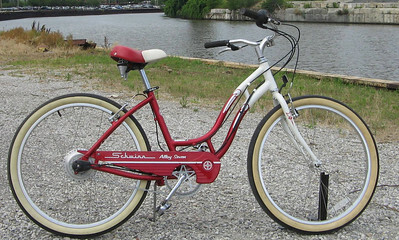 1 of 2 Schwinn Stingray fashion bikes (the other is black). 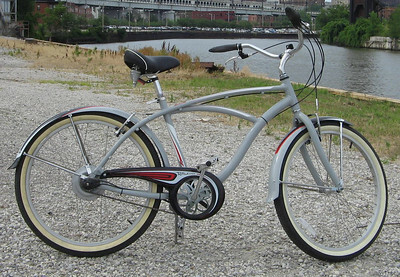 Minimum bid $30: Sold new for as little as $69 on sale; rear tire msrp $40.Includes all benefits of any Ohio City Bicycle Co-op bike-purchase ($60 value). 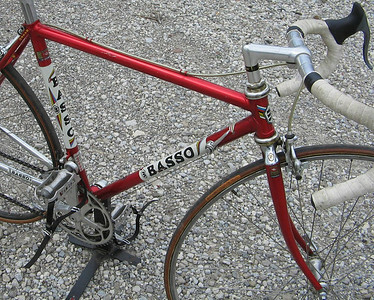 Basso s/n 409089 47	47/49	Full Shimano 600	Minimum bid: $500, value ~ $600. Includes all benefits of any Ohio City Bicycle Co-op bike-purchase ($60 value). Bianchi	s/n A6 7754	51/53	Full Campagnolo (including water bottles!) 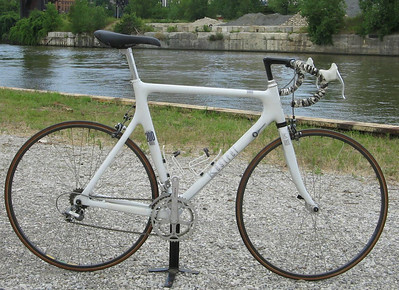 Minimum bid $500, value ~ $600.00 Includes all benefits of any Ohio City Bicycle Co-op bike-purchase ($60 value). Ellsworth The Ride with Nuvinci continuously-variable hub. Minimum bid $600. Value:?? 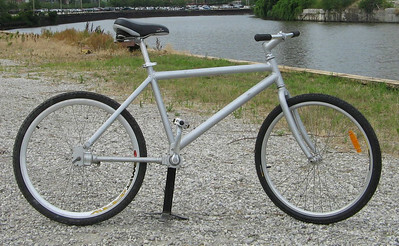 (Hub msrp is $400) Includes all benefits of any Ohio City Bicycle Co-op bike-purchase ($60 value). 1969 Holdsworth s/n 69094	54/56 Campagnolo	All original, except rack (removed). Minimum bid $500 Value: priceless (note the pump pegs)! Includes all benefits of any Ohio City Bicycle Co-op bike-purchase ($60 value). Kestrel s/n 22298 57/56 Carbon Fiber frame, Campagnolo with Shimano Dura Ace crank, sew-ups. Minimum bid $800 Value:~$1000? 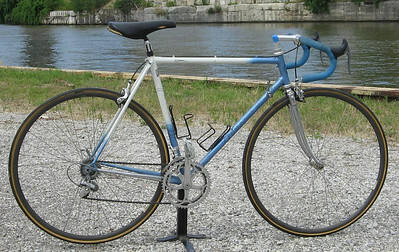 (Sold new for >$2000) Includes all benefits of any Ohio City Bicycle Co-op bike-purchase ($60 value). 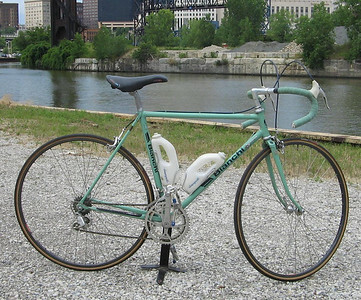 Marinoni	s/n 57608	54/55	Handbuilt custom bike from Montreal Shimano 600	Minimum bid: $700 Value: ~$900 Includes all benefits of any Ohio City Bicycle Co-op bike-purchase ($60 value). 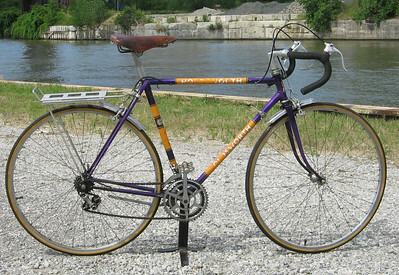 Raleigh with Nuvinci continuously-variable hub. Minimum bid $500. Value:?? 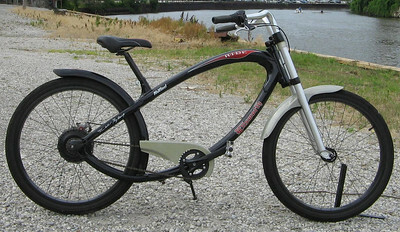 (Hub msrp is $400) Includes all benefits of any Ohio City Bicycle Co-op bike-purchase ($60 value). 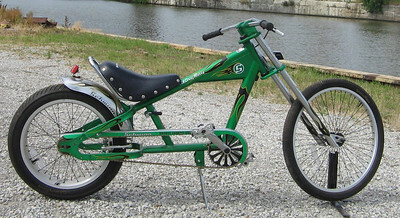 Schwinn Jaguar s/n ea17436 2-speed kick-back coaster brake. All original, including reflectors and tires; missing gas tank and front rack. Minimum bid: $300 Value: High! Includes all benefits of any Ohio City Bicycle Co-op bike-purchase ($60 value). Schwinn with Nuvinci continuously-variable hub. Minimum bid $400. Value:?? (Hub msrp is $400) Includes all benefits of any Ohio City Bicycle Co-op bike-purchase ($60 value).